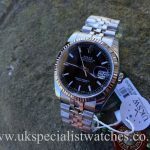 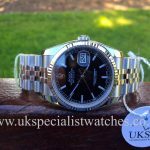 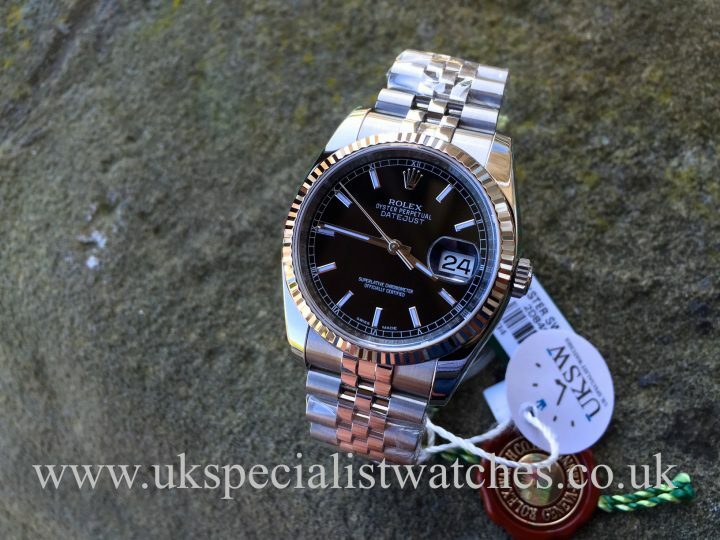 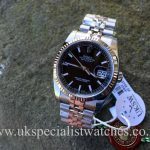 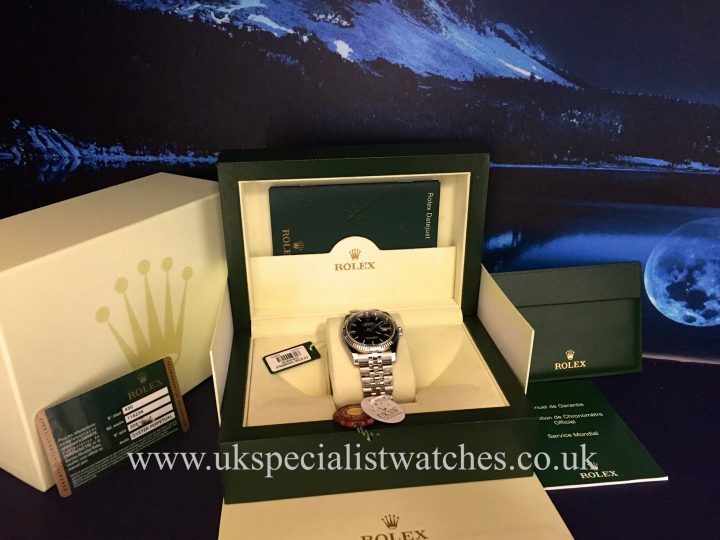 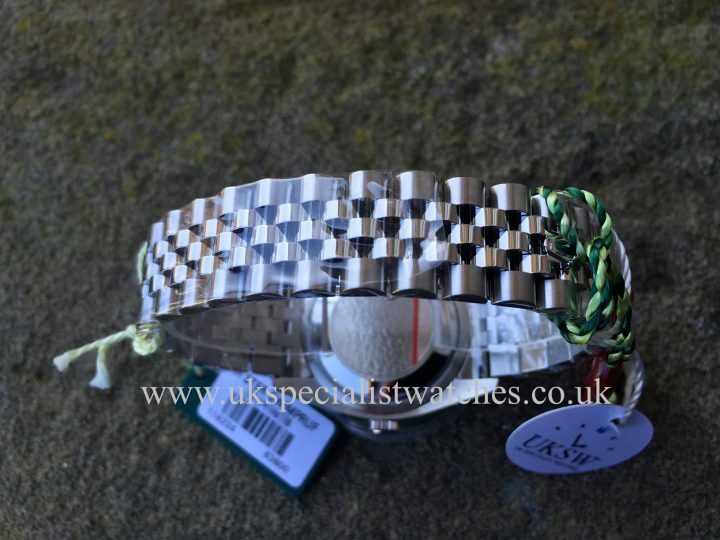 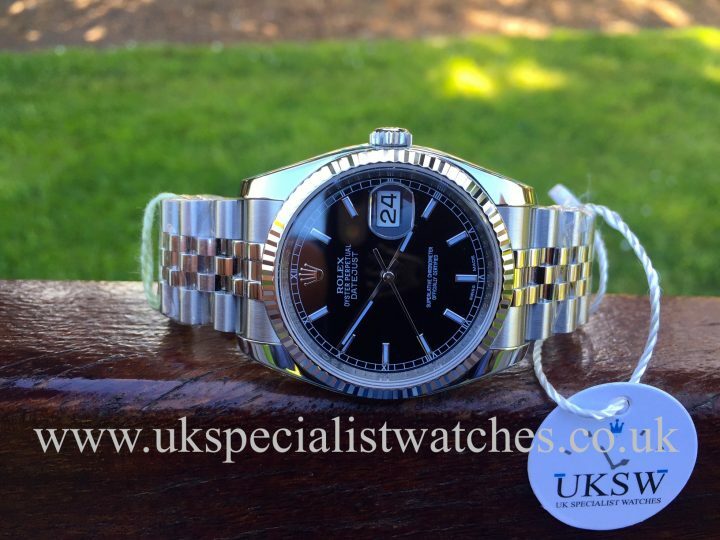 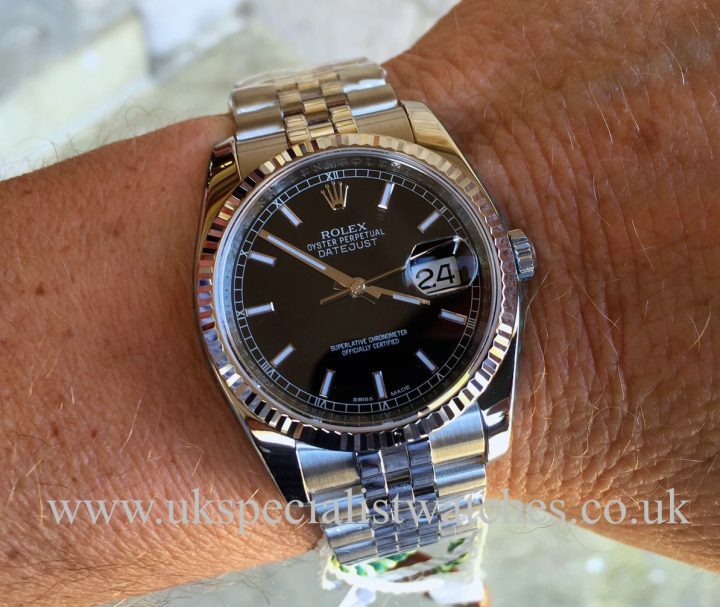 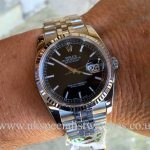 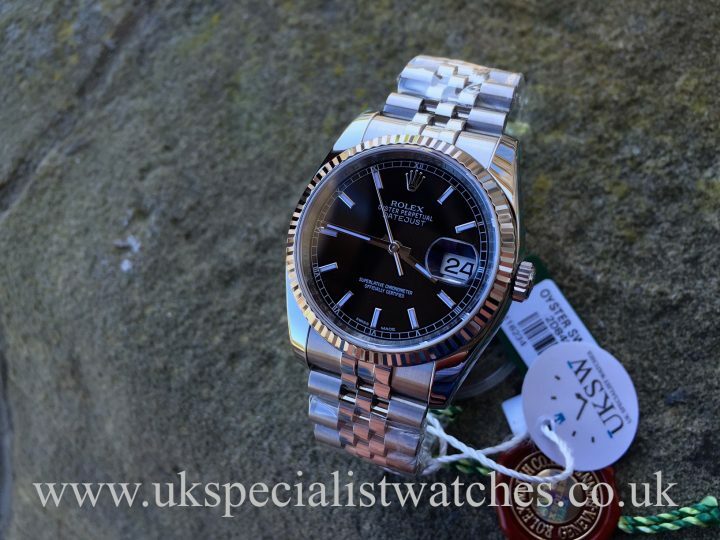 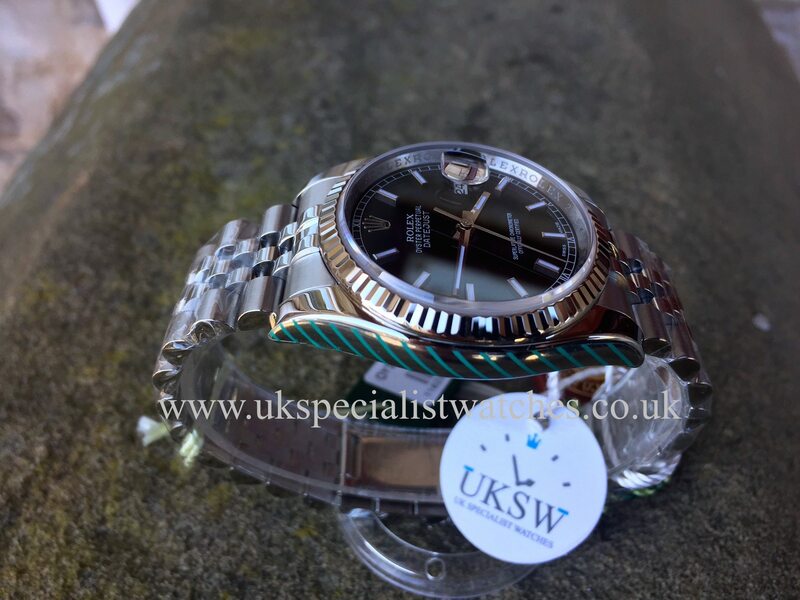 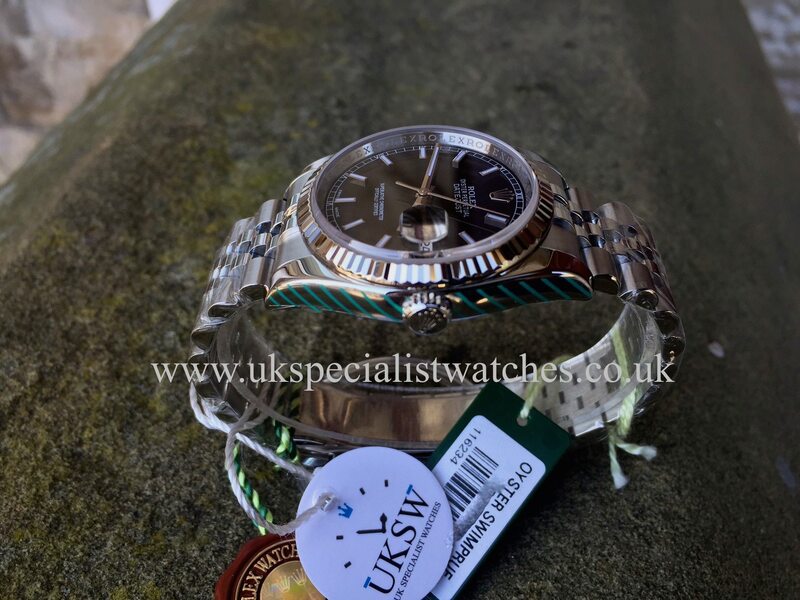 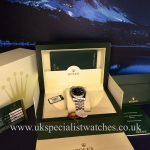 Rolex DateJust 116234 Gents stainless steel with a stunning deep black dial, baton hour markers with the stunning White gold fluted bezel, fitted to the latest solid link Jubilee bracelet with concealed crown clasp. 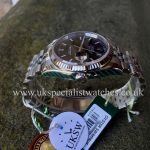 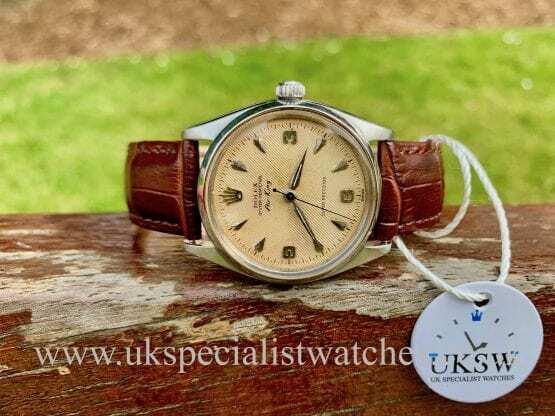 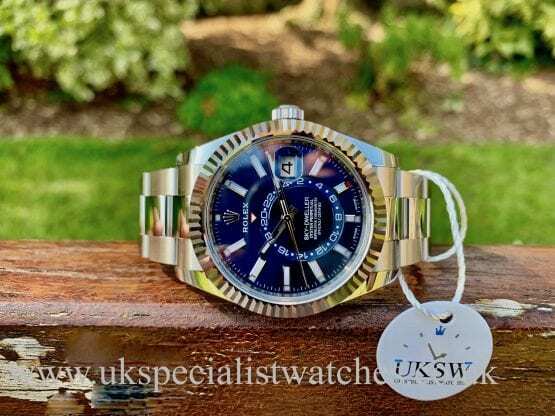 Our watch is in absolutely as new condition having just returned from an official Rolex service, still with all case and bracelet stickers intact. 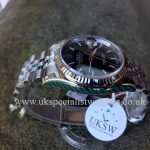 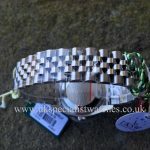 Comes complete with original warranty card, swing tags, green leather wallet, booklets and supplied new in November 2012.